Day 14 of 14. I am DONE! 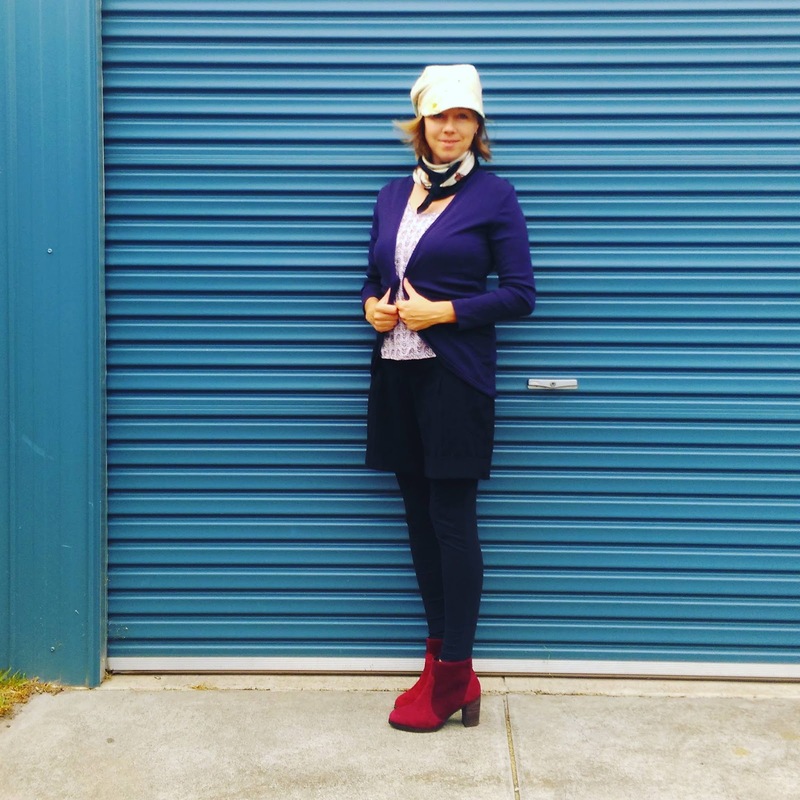 Vinnies Victoria's #newyearnewstyle thrifty fashion challenge to wear only 10 items of chosen pre-loved clothes over two weeks. I'll share my thoughts about the challenge in a later post, but in the meantime, my last outfit. An early start, volunteering at the gate of my school's farmers market, calls for a bit of warmth. I've matched my leggings with shorts, cardigan with white sleeveless top and worn by new-to-me preloved red (apt for Valentines Day) boots from Fash Forward.